← The Pied Trombonist Of Hamelin! A 68-year-old clarinet player in Atlanta developed a year-long allergic chest reaction to fungus that grew in his instrument. A Dixieland band player who didn’t clean his clarinet for 30 years is recovering from a year-long allergic reaction caused by fungus that grew inside the reed instrument, experts said. The 68-year-old unidentified Atlanta man came down with an intractable case of “saxophone lung,” an actual condition familiar to germ experts — and to persnickety musicians. But he didn’t escape the notice of Dr. Marissa Shams and other researchers at the Emory University Adult Asthma, Allergy and Immunology Clinic, who planned to recount his ordeal at an annual scientific meeting in Baltimore Friday. Saxophone lung is a rare type of hypersensitivity pneumonia, in which patients develop allergic pulmonary disease when they’re exposed to fungi that invade instruments — and are never removed. Basically, the musicians have allergic reactions to the mold that won’t let up, Shams said. In the clarinet player’s case, he complained of coughing and wheezing that lasted a year and didn’t respond to any typical treatments, including inhalers, steroids and antibiotics. Doctors originally thought he had allergic bronchopulmonary aspergillosis, a different kind of fungal reaction — until they heard about the clarinet. When they X-rayed the guy’s chest, it was a mess of blockages and mucus and even a calcified lymph node, Shams said. Tests showed the man was allergic to two fungi, Alternaria and Curvularia, while the clarinet reed and inside the instrument were positive for another mold, Exophilia. “There was very impressive fungal growth on those,” Shams said. Doctors gave the man more oral steroids, but it was only after he sterilized the clarinet that he got any better. “As we’ve been following him, he has substantially improved,” she said. Though the condition sounds strange, it’s actually well known to musicians. In March, a 78-year-old English bagpipe player, John Shone, reported that he nearly died after contacting a fungal lung infection from his dirty instrument. In 2011, researchers at Tufts University led by Dr. Stuart Levy tested 20 instruments and found that nasty germs — including the bug that causes tuberculosis — can live for a few hours up to several days on wind instruments such as clarinets, flutes and saxophones. 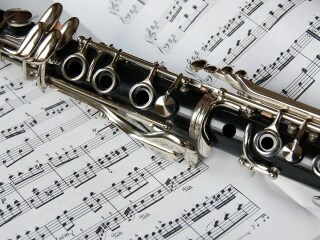 Researchers never did learn why the man didn’t clean his clarinet, Shams said. But after they showed him the connection between the fungus and his illness, he started sterilizing regularly. Brass Players do not escape scott free – click here! National Clean Your Leadpipe day! – click here! Bagpipe player almost dies of ‘Saxophone Lung!’ – click here! This entry was posted in About Brendan Ball and tagged allergic, allergy, alternaria, asperillosis, asthma, bagpipes, Brass, bronchopulminary, clarinet, clean, cleaning, curvularia, dirty, disease, Doctor, Dr, exophilia, flute, fungal, fungi, fungus, germ, germs, hygiene, hypersensitivity, illness, levy, lung, malady, melody, player, players, pneumonia, reaction, reactions, research, saxophone, sterile, sterilisation, sterilised, stuart, tubercolosis, tufts, University, wind, woodwind. Bookmark the permalink. 1 Response to Melody malady: Wind players develop ‘saxophone lung’ from fungus! I remember the student trumpets at high school. Often they were so full of green slime that I thought the trumpet might become sentient.